Squad Building Challenges are one of the best ways to earn FIFA Coins in FIFA 19. SBC is a single player game mode that sees players building squads that satisfy certain objectives. They can be a little tricky to beat, but once you know how they work and when they refresh, they can be a viable way to make a lot of money. In this FIFA 19 SBC Guide, we'll give you everything you need to know about Squad Building Challenges. We'll go over all of the different types of SBC that you can take on, and what you'll get as a reeward for completing them. For more on FIFA 19, be sure to head over to our FIFA 19 Guides Hub. It’s full of useful info on the game, including a look at the best young players, essential tips and tricks to help you score loads of goals, and more. SBCs really lean into the card-game side of FUT 19. They task players with building specific decks, that match a list of requirements. They're absolutely worth doing, given how lucrative they can be, especially if you prep your cards in advance. Let's tale a look at how to get stated with Squad Building Challenges. 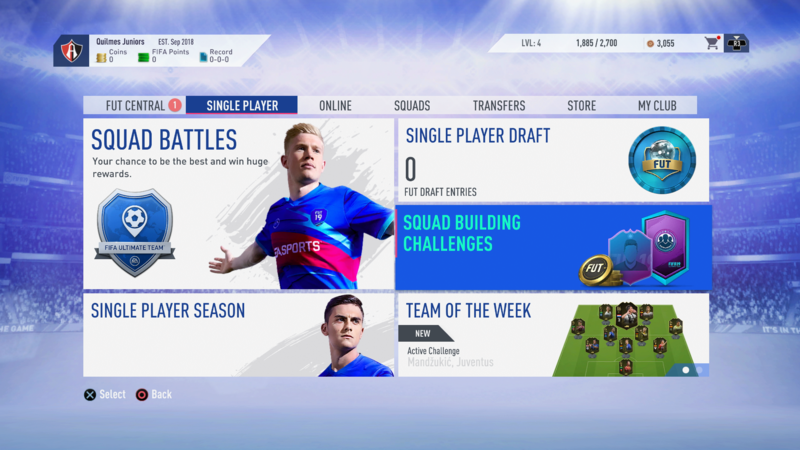 When first starting up FUT 19 SBCs, you’ll be greeted with a brief tutorial on how to start Squad Building Challenges. You’ll need to complete these intro to get into the main challenges, so breeze through them and you’ll be good to go. Luckily, they’re extremely basic and easy to get through, involving simple challenges like matching nationalities and plugging in bronze players. Once you’ve finished off the intro challenges, you can get onto the real thing. 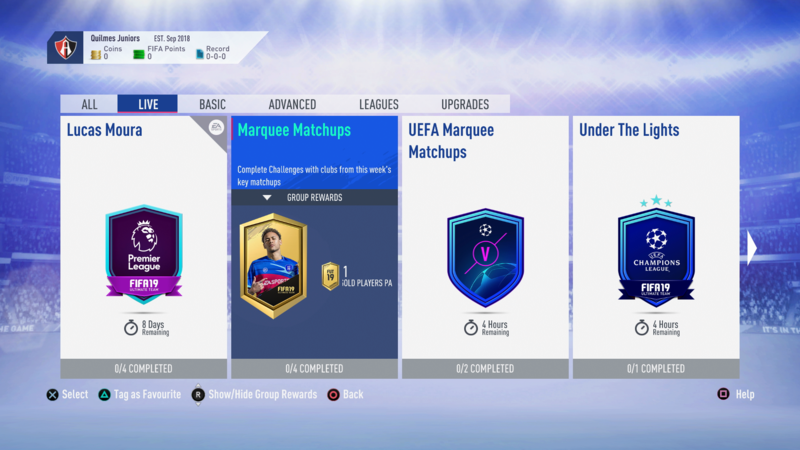 The first type of SBC you need to take a look at is Marquee Matchups. These are SBCs that refresh weekly, and are based on the biggest real-world matchups happening that week. You can plan ahead and start snapping up players that you think might be a part of these Marquee Matchups early. They include both league and international matchups, so keep an eye out and get yourself a Gold Player Pack as a reward. You can take on League-based SBCs in FIFA 19. These require you to build out squads of teams from a specific league. These take a lot of planning, but earn you a special player pick reward. Advanced SBCs are the ultimate SBC challenge in FIFA 19. They often involve building squads with a large number of variables, like seven leagues, or five nationalities, for example.You’ll get great rewards for completing them, like Rare Mega Packs and new kits. You can also earn a boat-load of coins, sometimes upwards of 12,000 at a time. From time to time, EA will add player-specific SBCs into FIFA 19 Ultimate Team. These can range from Player of the Month picks, to promotions involving a particular player. Whichever player the SBC is focusing on will be offered up as a reward for completing it. Depending on the difficulty of the challenge, the reward will either be a full player card, or a loan one. Either way, the card will be untradeable. for a look at the Lucas Moura SBC, head over to our Lucas Moura SBC Guide. While you’re busy working on the latest SBCs, there are a few things that you should be keeping in mind. 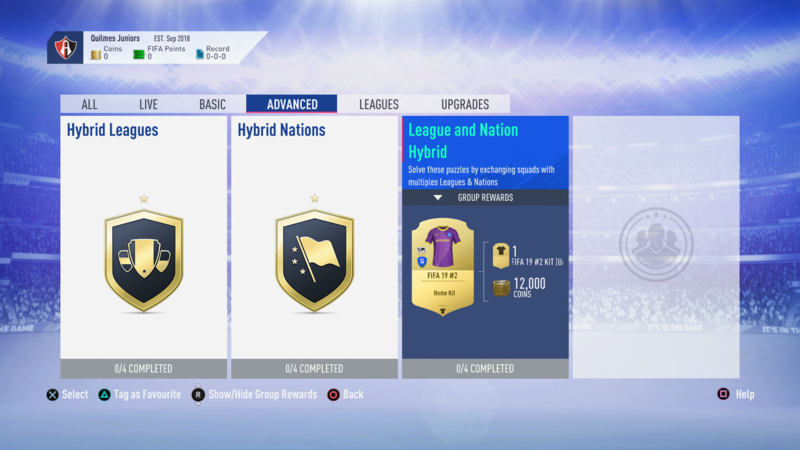 We’ve listed some FIFA 19 SBC Tips and Tricks below, so that you can make the most of your player collection. You gotta spend money to make money - While it’s always fun to check in on SBCs every now and then to see if the cards in your collection can complete them, you’ll need to buy players if you’re serious about completing a lot of SBCs. 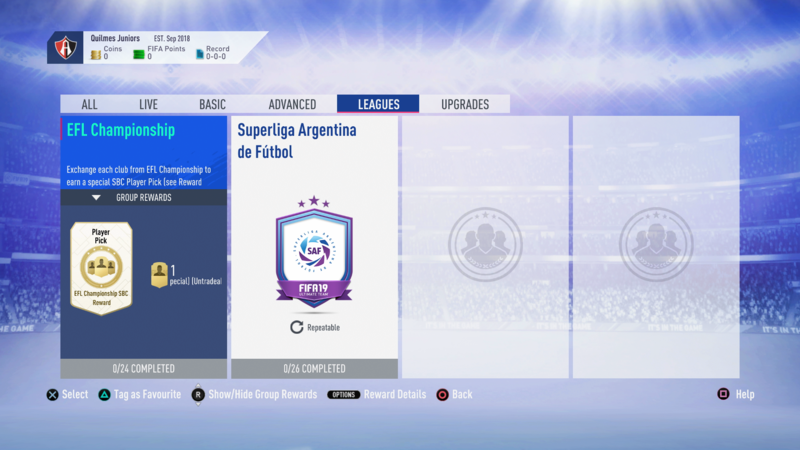 You need to make a list of the types of players you need for the SBC in question, and then head to the transfer market to pick up the cards for as little as possible. This is part of the fun with SBCs, seeing how cheaply you can complete them. Focus on one SBC at a time - If you split your focus between multiple Squad Building Challenges, you’ll easily waste players in the wrong places. Focusing on one means that you won't accidentally use a valuable player need to complete an SBC elsewhere. Know when to check back in - having reminders set for when each set of SBCs is due to refresh means that you can get a jump on the competition and snap up players on the transfer market on the cheap. Plan ahead - You can get a good idea as to what the Marquee Matchup will be by keeping an eye on any big fixtures that are coming up. Buying these players early is a lot cheaper, as the Transfer Market won’t have started jacking up the prices yet, meaning you can make the most out of every card you put down.